For me, I like reinforcements more than heroes & villains. Sure you can play as iconic characters but one player can play it at a time. Reinforcements, on the other hand, can be played by multiple players and with their lower health, more players can get a chance to play them whereas heroes & villains, you might need to wait a long time or might not even get to play them if a veteran player is going on a 100+ killstreak with no sight in stopping. Also, Droidekas and Republic Commandos have been requested multiple times by the community. And most of their abilities I think they should have are recycled from abilities in this game and the previous (Battlefront 2015) with a unique twist that would make them epic! Republic Commandos should have their iconic DC-17m with some unique abilities from the previous Battlefront 2015 game. First of all, we could reference the Republic Commando game for some of their abilities such as the interchangeable blaster with unique abilities for different circumstances. The DC-17m could have a high rate of fire at medium range with a decent damage output (maybe the same damage output as a default assault class or maybe a tick higher). This ability is similar to the barrage except it will stay activated for a duration of time, being able to disrupt large groups of infantry and take down armor (seeing as this DC-17m attachment was used mostly to take down heavy vehicles). When you activate this ability, the Republic Commando attaches a grenade launcher to his blaster. 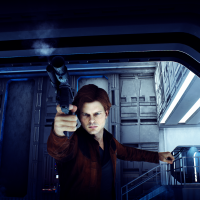 The rate of fire won't be as good and you will be able to shoot the grenades for a duration of time, similar to Jyn Erso's weapon attachments in Battlefront 2015. This ability will be similar again to Jyn Erso's sniper attachment in Battlefront 2015, you can shoot this accurate blaster rifle for a duration of time until the ability ends and the Republic Commando will switch back to normal mode. The return of the bacta bomb! Seeing as the old Republic Commando game saw a lot of the bacta stations, I thought it would be cool to see a return of the bacta bomb. The issue with the bacta bomb in the previous game was that EVERYONE had one which made it really OP. 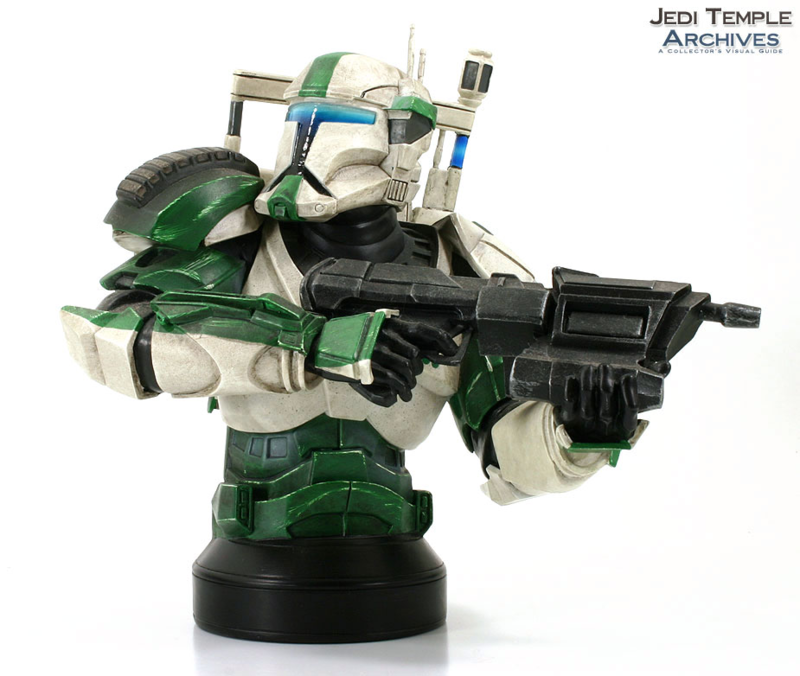 Now only a republic commando will have one. When throwing down on impact, the bacta bomb will give 130 HP that will not diminish like an officer's battle command. The bacta will stay on the player until the player loses that extra health. The bacta will not replenish itself but it will not diminish on its own either. Also when the bacta bomb is thrown down, players will get that awesome blue glow like in the previous game. Droidekas were very deadly droids during the clone wars with their powerful twin blaster cannons and personal shields. It would be very cool if the droideka was similar to the ARC trooper where each twin blaster cannon could be shot individually. Whenever a droideka activates its roll function like another other unit and hero/villain can do, the droideka will very quickly transform into a ball, roll really fast for a second and transform back. 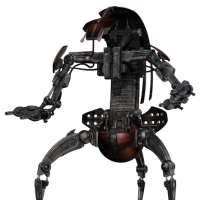 The droideka's first ability will be very similar to the B2 droid where the damage output is increased. Each twin blaster cannon will be shot simultaneously, allowing you to zoom in as well. The droideka can activate it's personal whilst whilst being able to shoot out from it. The only drawback though is since most of the droideka's power is going to the shields, the damage output will be decreased. This ability will form a circle around the droideka. Anyone who is inside will get an increased damage output boost. The droideka will also have an unlimited cooling for the duration it is activated. 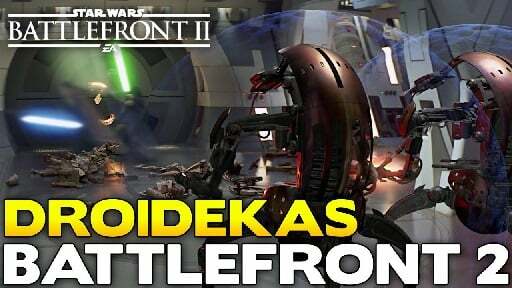 Yes the next update needs to be a droideka for sure! Hopefully they do get added at some point. The Katarn armour has the double weight than normal clone armour. But these troopers can run at the same speed than normal troopers. Transforme the rifle into an anti-armor grenade launcher. You can shot 4 impact granades then this ability is desactive temporaly during 45 secons. This impact grenades do a good damage to vehicles too. It's a retractable weapon inside a clone commando's Katarn-class. It's the normal melee attack but does a big damage. It's a retractable weapon inside a clone commando's Katarn-class. It it's the normal melee attack but does a big damage. The droideka has twin blasters very power with individual control like ARC trooper. The droideka just has 200 HP (without shield). The droideka hasn't a melee attack. Transform into ball shape for high speed rolling during max 60 seconds. While this go damaging and pushing away any enemies in his path. In this mode its life is 300 HP (+100). Droideka stop its movements completely. Reducing a little the protection of its deflector shield to increase more the damage of its shots.